Get District and Session Court Rawalpindi Jobs 2018 Application Form Download www.nts.org.pk from this page. 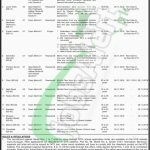 Session Court Rawalpindi Jobs 2018 announced on 09th November 2018. Applications are invited from candidates having qualification mentioned below for to fill the following Jobs in District & Session Court Rawalpindi which is reputed Law & Justice Department looking all the civil cases of Rawalpindi District. Here is the list of vacant positions such as (Stenographer, Data Entry Operator, Junior Clerk, Computer Hardware Technician, Prayer Leader, Generator Operator, Process Server, Cook, Naib Qasid, Waiter, Mali, Sweeper, Moazan/Khadim Masjid, Mashki, Chowkidar). These positions can be increased or decreased as per the policy of Session Court Rawalpindi Jobs 2018. Appointment of these positions will be on a contract basis which is extendable on satisfactory performance of an individual. Candidates wanted to apply should hold a qualification from Graduation to Matric/Middle with relevant skills and experience as per the demand for vacant positions. So, only suitable candidates meeting criteria should apply as per the following how to apply procedure. The Application form and the online deposit slip for Sr. No. 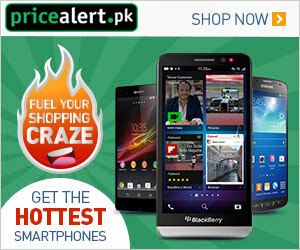 1 to 7 can be downloaded from the official site www.nts.org.pk or from www.JobsAlert.pk. Duly filled the application form for Sr. No. 1 to 7 along with paid deposit slip of test fee in favor of NTS and all other documents should reach the following address given below. Applications for Sr. No. 1 to 7 must reach NTS Headquarter 1-E, Street No. 46, Sector I-8/2, Islamabad. For Sr. No. 8 to 15 application form is available at official site www.rawalpindi.dc.lhc.gov.pk. For Sr. No. 8 and 15, application forms along with all documents should reach Senior Civil Judge (Admin) Rawalpindi. For Sr. No. 8 to 15, the application form should reach District and Session Judge Rawalpindi by hand or post. Last Date to Apply: November 26, 2018. Address to Apply for Sr. No. 1 to 7: NTS Headquarter Plot No. 96, Street No. 04, Sector H-8/1, Islamabad. Address to Apply for Sr. No. 8 & 15: Office of Senior Civil Judge (Admin) Rawalpindi. Address to Apply for Sr. No. 8 to 15: Office of District and Session Judge Rawalpindi.